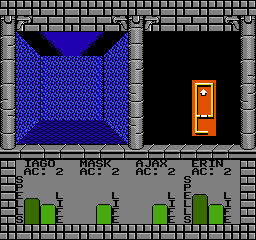 In this game, you assemble a party of for heroes (or you can use the default path) and explore a 16 level dungeon using a combination of first-person view and an overhead map. Combat is real-time with onscreen monsters. Weapons, armor, and other items can be purchased from shops, or found in certain areas. There are also a variety of magical spells to learn and use (some of which are necessary for completing the game). Hints and tips are available in the dungeon, and you would do well to seek them all out. Earn the legendary Ruby items that are hidden in the dungeon and you will have the power to defeat the great evil that lurks on the final floor of the dungeon. Now you can add videos, screenshots, or other images (cover scans, disc scans, etc.) 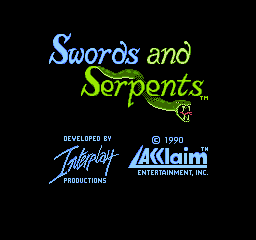 for Swords and Serpents (USA) to Emuparadise. Do it now! If you haven't noticed yet, we have a retro game of the day feature (top-right of the screen) wherein we feature a new retro title every single day! Now, you can vote for your favorite games and allow them to have their moment of glory. 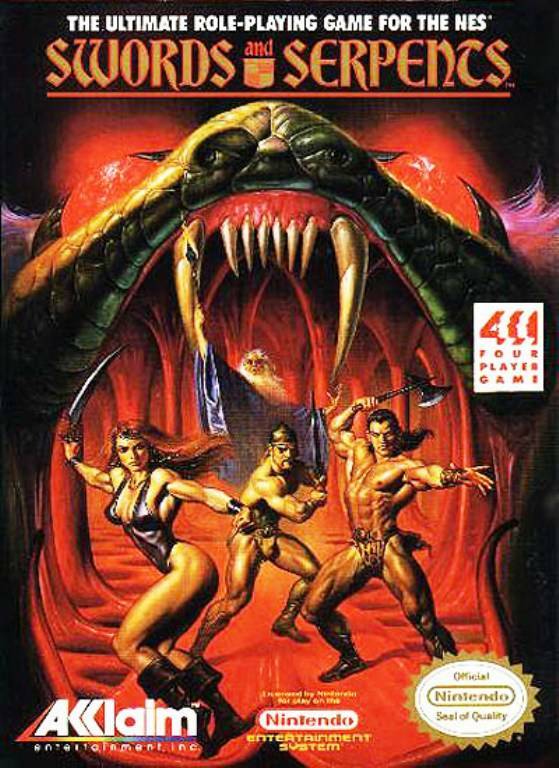 Click on the button below to nominate Swords and Serpents (USA) for Retro Game of the Day.